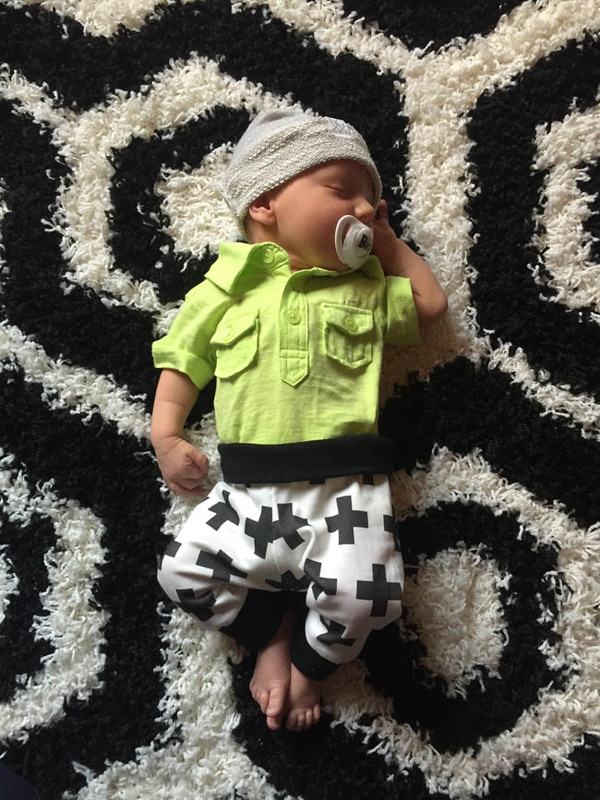 Who says boys’ clothes aren’t cute?! If you think that’s the case, you aren’t looking in the right spots! 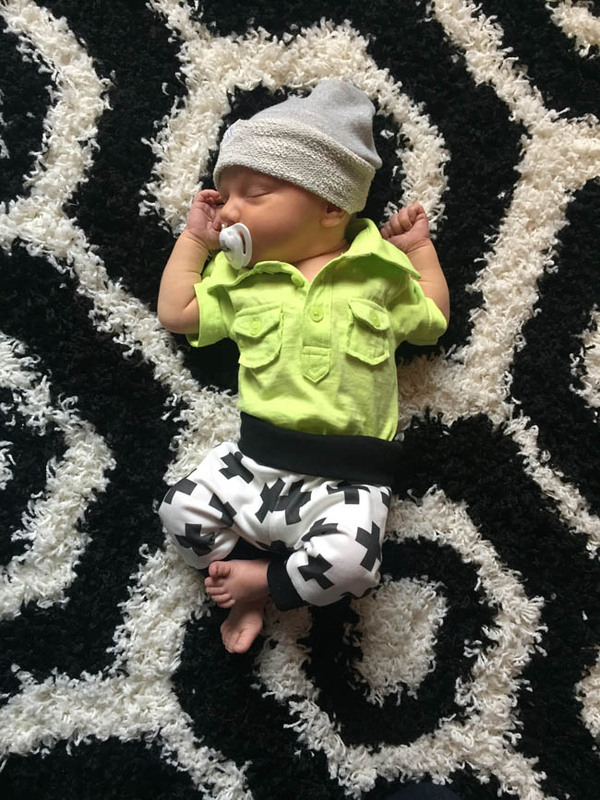 I love scouring Instagram, looking for small businesses that make original and oh-so-cute boys’ clothes! I am a huge fan of these online stores (most have their products for sale on Etsy) for a number of reasons. First, I am all about supporting small businesses. Many of these shop owners are moms themselves so they choose fun and funky fabrics that are great quality. They make their pieces as if they are making them for their own children. Also, many shops will work with you to customize pieces so you can get the exact look you want. 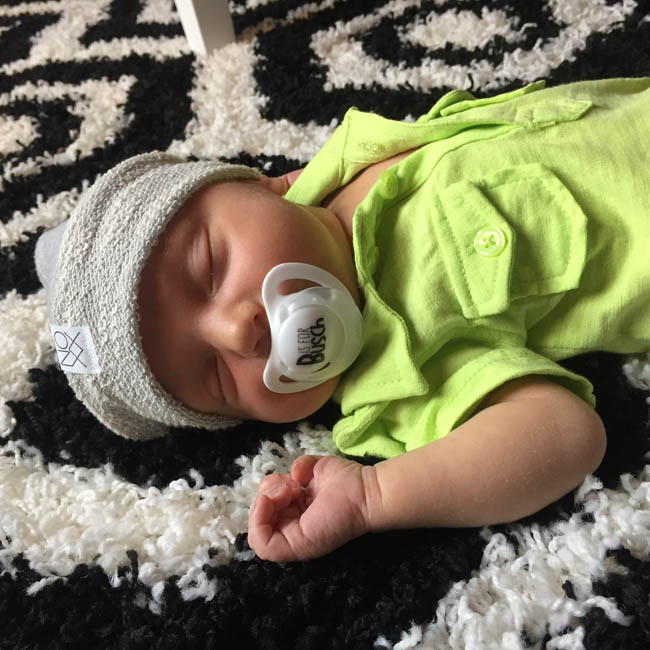 For Brexton’s first road trip to Dover, DE to watch Daddy race the Monster Mile, I wanted to put him in a cute outfit for this milestone. His pants are from a great company called Monsters Under My Bed Co. I have ordered a number of pieces from Nikki and she also makes adorable monsters for kids’ cribs and beds! She made me a custom lime green, black, white and gray doll, which I will show you when I do a blog on Brex’s nursery. His top I received as a gift so I am not sure where it is from but I love LOVE the bright green color. 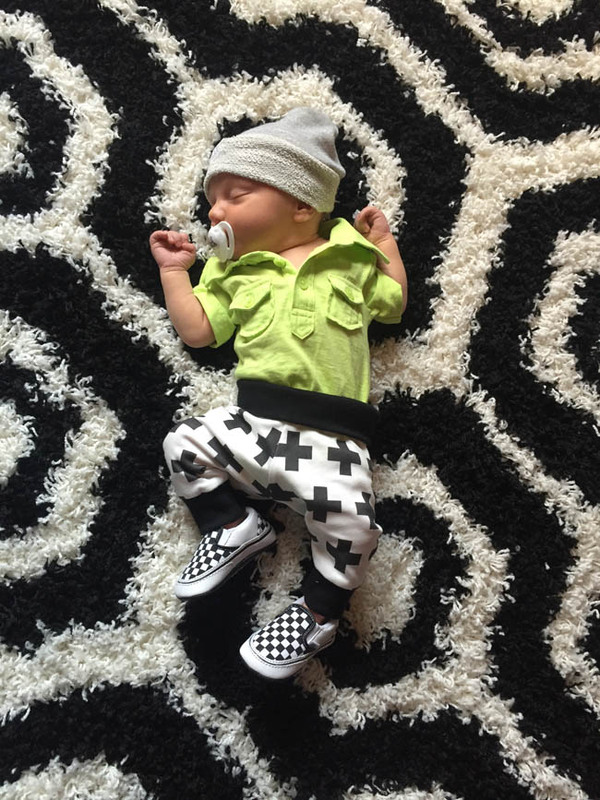 I attempted to put the cool racer Vans on that Kyle bought Brexton but, unfortunately, they are still too big but I do love the mix of patterns. Planes are always chilly so I wanted to make sure Brexton’s head was covered and this awesome light weight beanie by NOXX is perfect. Trendy and functional, Jennifer really uses the BEST fabrics! They are so crazy soft, Brexton actually started crying when I took it off of him. Finally, a pacifier is key for flying (or a bottle) so babies little ears don’t hurt! 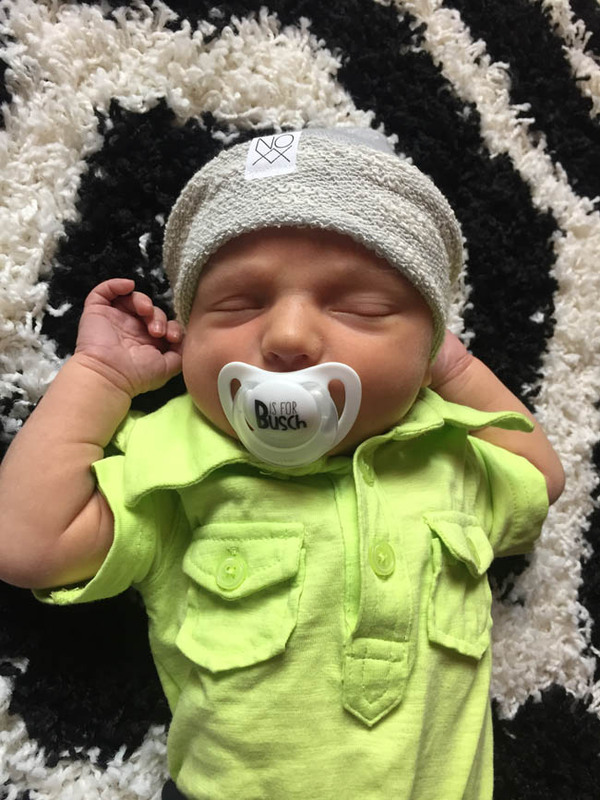 Usually Brexton can’t keep a paci in his mouth longer than 5 seconds before losing it but these adorable pacifiers by BinkyBabies stayed put the entire car ride and flight! Not only did Brexton not make a peep the entire flight, did you notice how cute these custom pacifiers are? This one says “B is for Busch” but I also have other ones with checkered flags, little man and my favorite, “They See Me Strollin”. Please see below to check out these amazing stores and to get special discounts on your purchases!